I am in a constant love-hate relationship with Facebook, especially lately after their Pages Manager app updated. Now the app won't open at all on my phone and it has been doing so for about three months. Yet, every so often, I stumble upon some unique feature of Facebook that I didn't know existed and I get all excited about the social media platform again. Like did you know that you can edit the titles of the links that you share on Facebook? 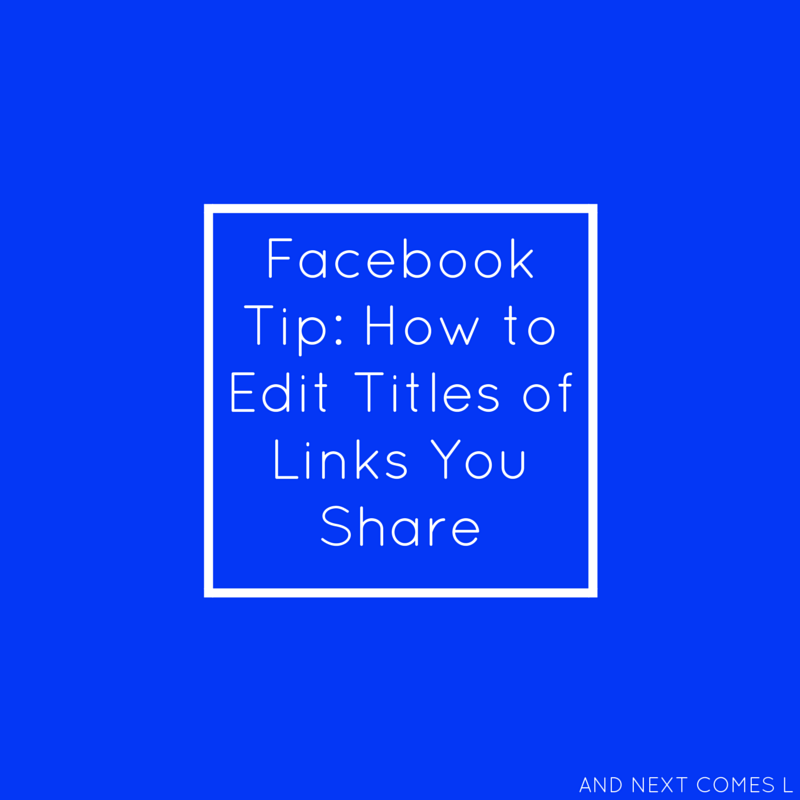 Yes, I am going to show you how to edit the titles of the links that you share on Facebook in order to make the links more appealing for readers to click on. Just please don't abuse this little trick to make them those stupid clickbait titles. You know which ones I'm talking about. So please, I beg of you. Stop with the clickbait titles already. Alright, so I'm going to illustrate this tip using a link from my blog. Say I want to share a link to my new awesome book Pop! Squirt! Splash!. So I head over to my Facebook page and add the link like I normally would by copying the URL into the status section. The link will autopopulate with an image, title, and text like below. Notice the title says my blog name followed by the name of the book. Not really appealing to click on, right? Next, I click on the title text, "And Next Comes L: Pop! Squirt! Splash! Book." That text should be automatically highlighted when you do so. Now you can type whatever you want to make the title of the link a little bit more interesting. See how I changed it to say, "40+ fun ways to play with soap, water, and bubbles." Super easy trick, isn't it? Or are you still stunned that you didn't know about this fantastic feature? Yeah, I happened upon it accidentally and my mind was blown. Looking for more blogging and social media tips? You can find more tips here! Hope it helps make a difference with your Facebook reach!